And no, I don’t agree that Heinlein was such a Grandmaster: his time was the Golden Age of the American sci-fi and personally, I’d rate many authors and works way above his league. For example, Frank Herbert and his Dune; Alfred Bester and his Tiger! Tiger! (aka The Stars My Destination); Roger Zelazny with his many works, the Amber series, The Lord of Light, and This Immortal, just to nane a few… And the list goes on. Possible to get autographed copies? I’m not sure if this one will be out in paperback anytime soon. It depends on sales and stuff. Thanks, I’ve forwarded the Amazon link to a Heinlein fan friend of mine. 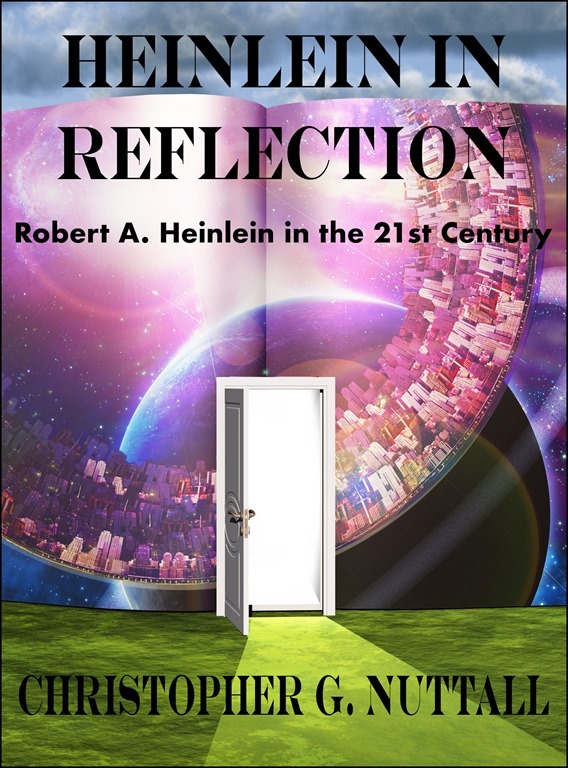 As Heinlein is one of my favorites, this book practically downloaded itself onto my Kindle. I was s little leary though because of the Panshin connection, but I gave it a try. It was a great analysis of the Grand Master’s work and its relevance today. Mr. Nuttall, I discovered your Heinlein collection when searching for potential release dates for the next Kat Falcone book, a series of which I have been a great fan. <Obligatory reader whine< Pleeze hurry, moar buks. In any event, I appreciated it quite a bit and was glad you put it together. I would disagree on some of your opinions of the books — I wouldn’t touch “Time Enough for Love” or “Farnham’s Freehold” again unless someone paid me a lot of money, but I really rather liked “Friday” as something of a return to normalcy after the balderdash of “Fear No Evil,” “Time Enough” and “Number.” But overall It gave me a couple of new questions to ask some of his work the next time I read it. Have you ever had the chance to read his 1973 letter to Larry Niven and Jerry Pournelle about their original “The Mote in God’s Eye” manuscript? It’s in The Virginia Editions of his work and papers and so is not reading his private mail 😉 , and is also online. I wondered, because in helping Niven and Pournelle revise their manuscript Heinlein laid out a lot of his thought about writing, story construction and so on. Yes, he then ignored almost every bit of that advice in “Time Enough” and “Number,” but it’s still a great window into what had once upon a time been one of the best storytelling minds of SF’s Golden Age.